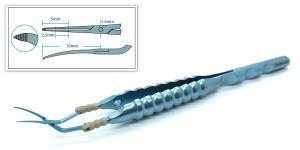 Consistent capsulorhexis size is crucial for optimal IOL function. 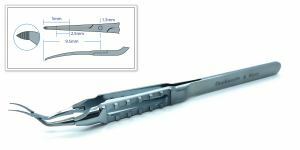 View our range of Capsulorhexis Forceps below, starting with your preferred incision size, or view our Capsulorhexis Forceps leaflet for more in depth information on our full range. 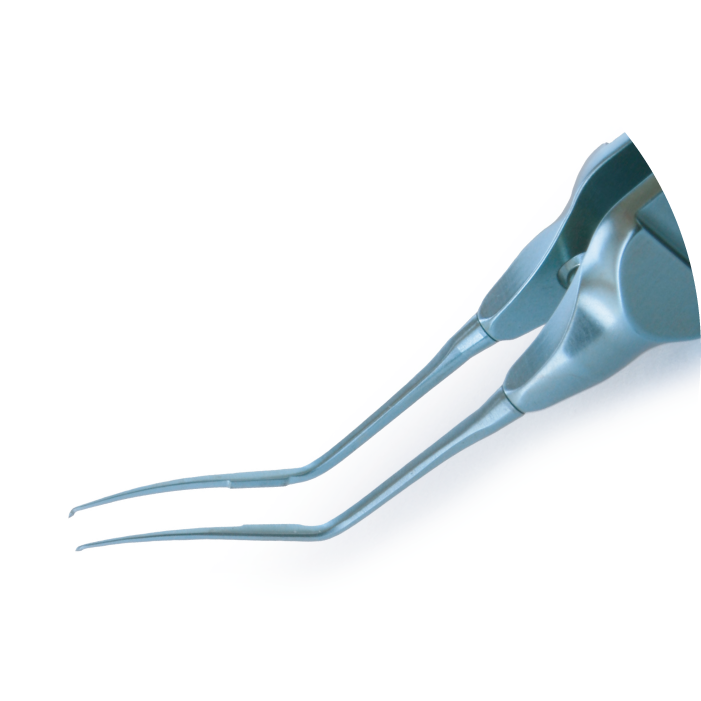 These instruments utilise our squeeze handle design to enable grasping, manipulating and cutting of tissues and implants through a 1.0mm paracentesis incision. 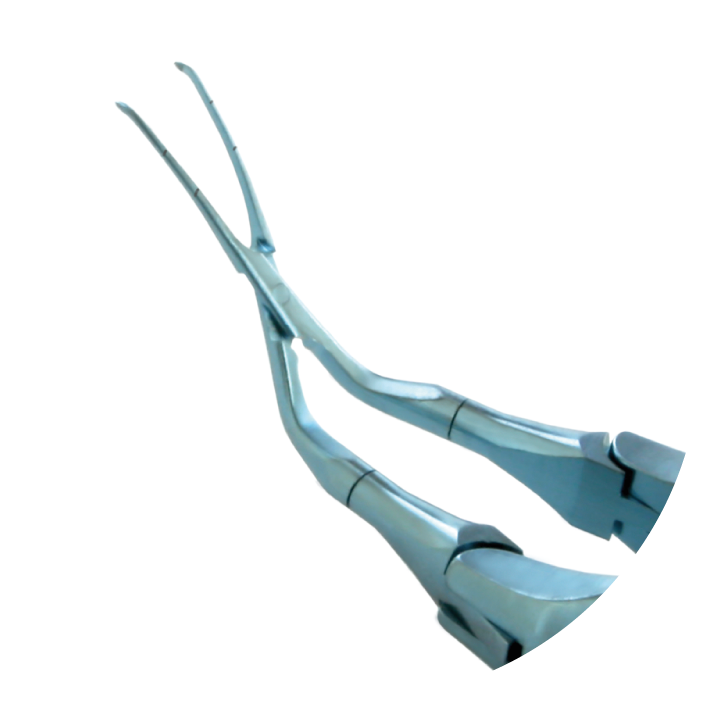 The Inamura Capsulorhexis Forceps incorporate a visible scale marked at the functional end of the tips that denotes the desired diameter and radius of the capsulorhexis.It has been found that measuring on the cornea surface overestimates the actual size of the capsulorhexis when measured within the anterior chamber by up to 20%. 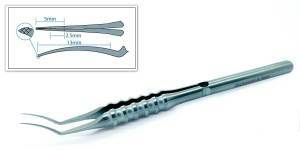 Keeping the pivot in the incision reduces the leakage from the anterior chamber. 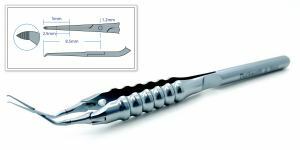 It also enables the tips to operate fully at the smaller incision sizes without stretching the incision and causing corneal deformation. 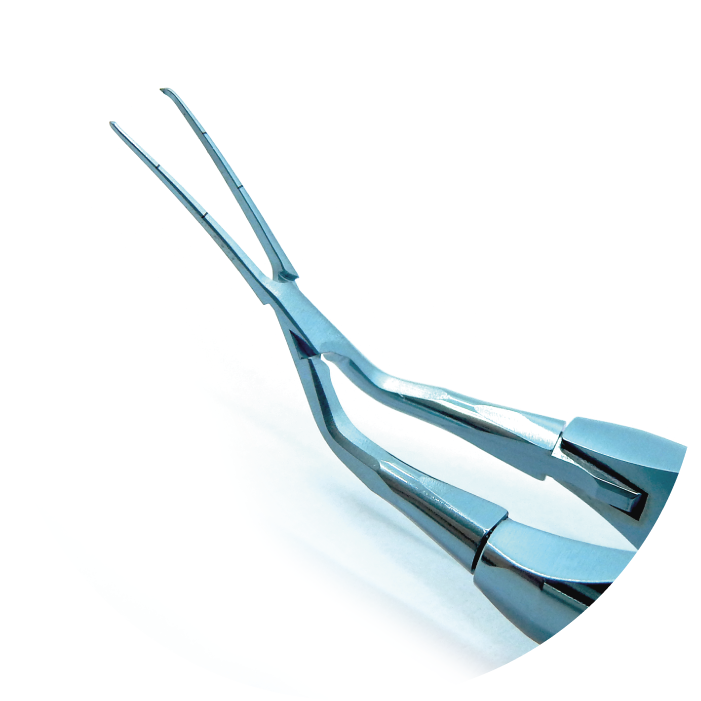 The Inamura Capsulorhexis Forceps incorporate a visible scale marked at the functional end of the tips that denotes the desired diameter and radius of the capsulorhexis. 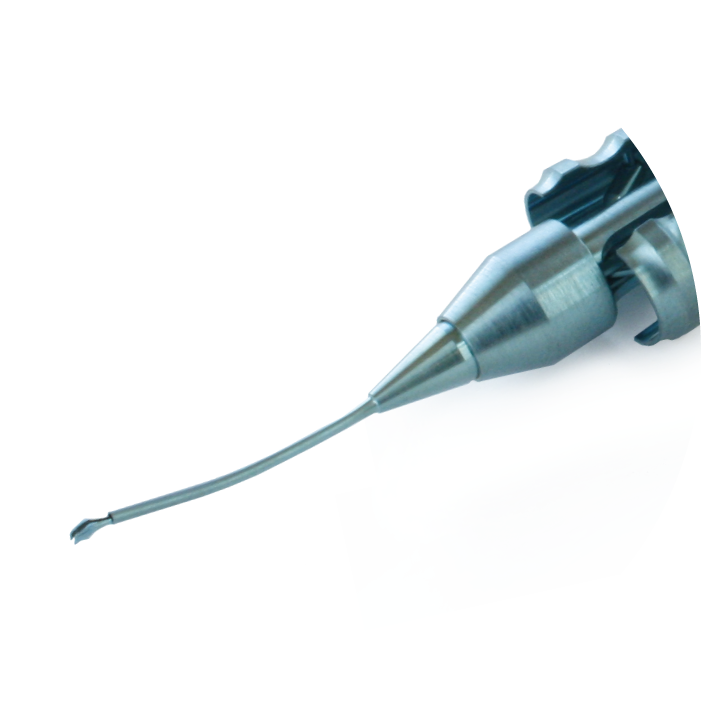 It has been found that measuring on the cornea surface overestimates the actual size of the capsulorhexis when measured within the anterior chamber by up to 20%. Keeping the pivot in the incision reduces the leakage from the anterior chamber. 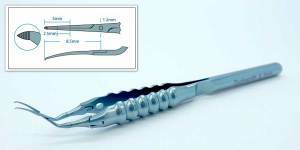 It also enables the tips to operate fully at the smaller incision sizes without stretching the incision and causing corneal deformation. 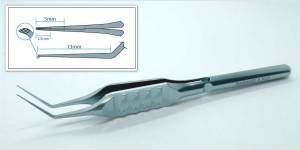 This slender direct action (Utrata style) forceps has been designed to enable controlled creation of a continuous curvilinear capsulorhexis through a 2.2mm incision.